Rafting the Middle Fork of the Salmon River in Idaho is one of the premier wilderness trips in the US. It flows 100 miles of Wild and Scenic free-flowing river through the largest roadless wilderness areas in the US through a canyon that is deeper than the Grand Canyon. It has natural hot springs throughout the canyon, blue ribbon trout fishing, and more than 400 rapids grade I-III (IV in June). Our Salmon River Middle Fork rafting trips lead you through unspoiled, remote and roadless areas, so you can be sure you will “get away from it all”. 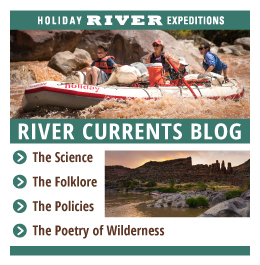 Our partner on this trip, Middle Fork River Expeditions, a licensed and bonded outfitter, has run safe and well-managed river trips on the Middle Fork of the Salmon River in Idaho for more than 3 decades. Trips are 4 or 6 days of exciting river rafting, wilderness camping, fine fishing, and adventure travel. Their equipment is specially designed for wilderness whitewater rafting, and offers mild and wild boat choices (oar boats, paddle boats, fly fishing drift boats, inflatable kayaks and stand up paddle surf boards!). Additionally their river guides are seasoned professionals, licensed by the state of Idaho and First Aid and Swift-water Rescue Certified. The guides are also expert river runners, magnificent cooks, great storytellers, knowledgeable, and helpful outdoorsmen. Join us for a magical wilderness river vacation this summer! Please arrive in Stanley, Idaho the night before the trip begins. Stanley is a 45-minute flight or 2 1/2 hour drive from Boise or a 1 hour drive from Sun Valley. We have a pre-trip orientation at the MFRE Warehouse is at 7:30 p.m. the evening before the trip begins. We will get acquainted, answer questions, and have a short orientation to show you how to pack the waterproof gear bags we provide for your personal gear. Please note lodging in Stanley is on your own. We have 14 rooms reserved under “Middle Fork River Expeditions” at the Mountain Village Lodge (800) 843-5475 for the evening before your trip and on day 6 of your trip. Please call them right away after booking your trip as they release the room block 14 days before the date. We also recommend the Sawtooth Hotel at 208-721-2459, and the Triangle C Ranch has cabins good for families (next door to MFRE warehouse) at 208-774-2266. These Salmon River Middle Fork rafting trips begin sharply at 8:00 a.m. and depart 1 ½ hours by bus to the river. Upon launching our rafts at Boundary Creek, 6000 feet above sea level, you’ll enter an enchanted forest of fir and spruce that scents the high mountain air. Sparkling clear waters careen through boulder-choked rapids with names that guides speak with reverence such as Velvet Falls, Pistol Creek and Tappan Falls. Stops at mountain hot springs and pioneer homesteads provide the perfect balance to the on-river excitement. During the evenings you will find us relaxing by the campfire, playing horseshoes and listening to the river and watching for shooting stars! *please note if water levels are low we may fly into Indian Creek, which is an amazing flight and great way to start your adventure. The flight is included and the lower put-in point makes it a 75 mile river trip. As we drop in elevation, the river widens and the spruce forest opens to vistas of pine-studded mountains and we enter Impassable Canyon, where no trails can be cut as the sheer walls go up over 6,000 feet. Between rapids, you’ll drift quietly over deep pools of transparent water, home to native cutthroat and rainbow trout. Hikes underneath Waterfall Creek and up to Veil Falls are highlights for many of our guests. The last day has some of the best and biggest rapids of the trip, which is a wonderful way to end a week in the largest wilderness area in the continental US. We drive back to Stanley, arriving between 4:00 – 6:00 p.m. for the night before heading home in the morning. Tonight join an optional “farewell” dinner in Stanley which is on your own. "I loved all the options that you provided on the trip. Oar boats, paddle rafts, drift boats, inflatable kayaks and even an inflatable surf board made each day a new adventure depending on what option I chose. You guys rock!" "We had an adventure of a lifetime mostly because of your amazing guides. They were always there to help with a happy smile on their face. Not only were they all accomplished outdoorsmen, they cooked the best food I have ever had in my life. Maybe it was the views and the fresh air from camp that made it taste so good!" "This river trip was the best vacation our family has taken together. It allowed us to connect as a family in a way that we could never had done had we done any other trip. It was so refreshing to not have all the distractions of modern life that make it harder and harder these days to connect as a family. We are excited to join you again this summer!"